Please pray to St. Jude, St. Rita, St. Padre Pio, St Andrew, St Pope John Paul II and St. Anthony for the health of my parents and myself and my husband so that they may place these prayers before Our Lady, so she may give the prayers to her Holy son. Please pray for his job. Please pray for my father and mother. Please pray they can enjoy life. Please pray that I can relax and not be so stressed out. Please pray for my 4 yr old niece. 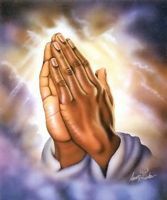 Please pray for my health issues to go away. Pray my husband and I will live a long and healthy and happy life. I am asking for the TMJ issues to go away.Please pray for my brother. Please pray for my brother. Please pray for my brother and that he gets his eyesight back.I pray please for good teeth. Please help me with the exhaustion I have.